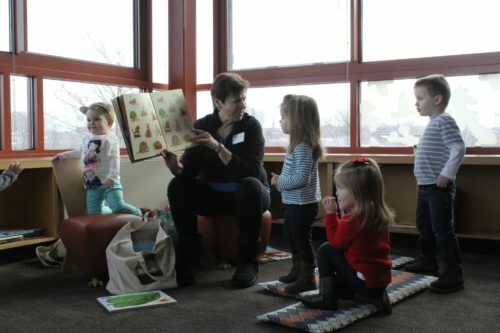 Join one of our dynamic volunteers for Preschool Story Time at 10am on Thursday and Saturday mornings. Enjoy listening to nature-based stories being read-aloud in our beautiful library and bird viewing room. After the stories, your little ones can romp and play in the Forest Room, where they can dress up like birds, play with puppets and climb into the tree tops of our forest. Story Time is a free, drop-in program, so registration is not required.